Also known as Kauppatori, Helsinki's Market Square is a bustling meeting place for locals, curious tourists and serious shoppers. Here you can grab a quick bite of sandwiches, hotdogs or ice creams, do some serious shopping, or simply take in the site and people watch. 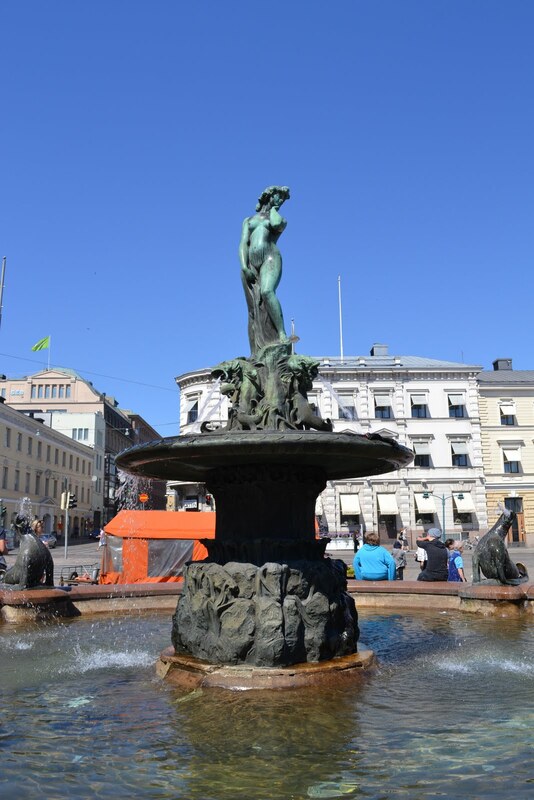 However, what really caught my interest and curiosity is the Havis Amanda, the statue of a naked nymph at the center of Market Square by Ville Vallgren. According to my readings, this statue was met with protests when it was first unveiled. I guess it was deemed inappropriate. These days, it is one of most famous attractions in Helsinki. Legend says - that she's a mermaid rising from the seas, with four fishes spouting water with four sea lions surrounding her. Too naked? What do you think? 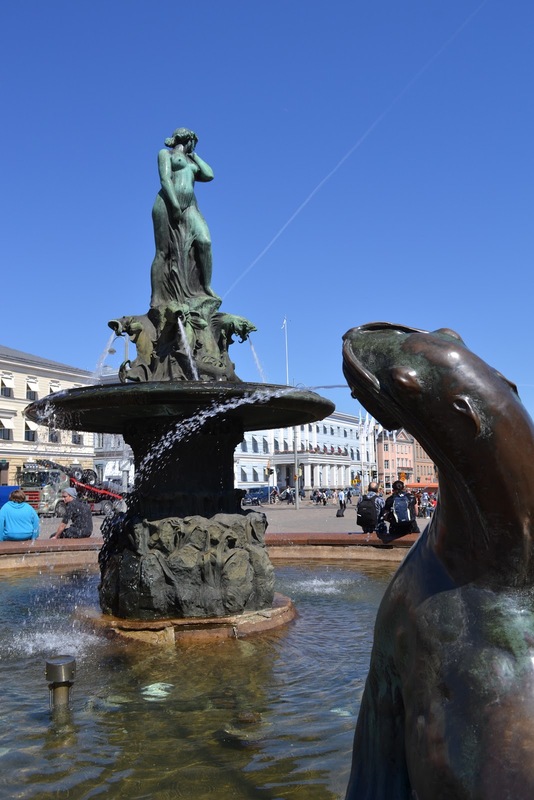 Here's another fountain I saw at a park near the Market Square. The park was full of people resting and relaxing. This is an ice cream shop tuck in the corner of the park. Unfortunately, our tour of Helsinki is nearing its end, so we took some time off for coffee. I was surprised that the coffee shop is owned by a Finn married to a Filipina. Of course, I also bought some sweets for the road. Next stop, St. Petersburg, Russia. These squares are what's missing here in the states, well at least in my state. What a nice place to people watch. What a lovely place. Glad you got some chocolate for the road. Life always seems better with some chocolate in hand. @ Loree, I agree. Chocolate has a way of making things sweeter. Europe is full of naked statues so there is nothing as too naked, imho. Hmmm coffee! I can see some heart shape in it..About the mermaid, not too naked. It's art.